Washington State head coach Mike Leach told reporters on Sept. 24 that he couldn't discuss in public what he thought about the officiating in his team's game against USC or he'd be fined. 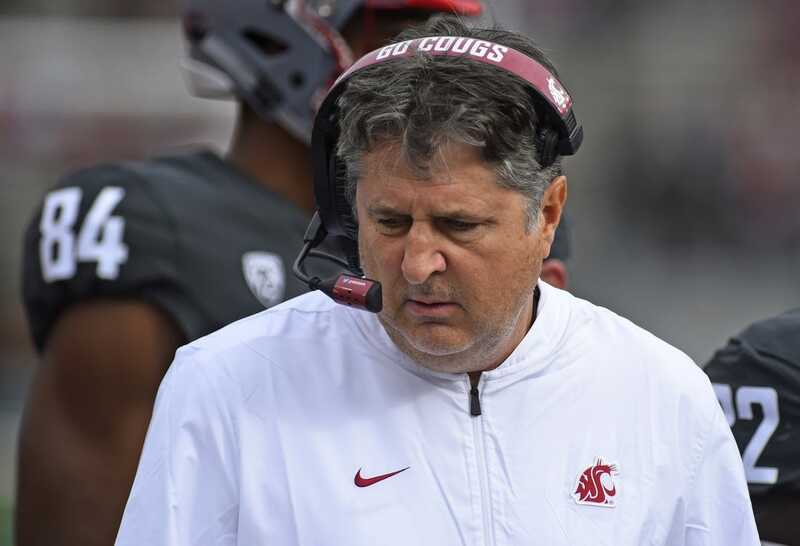 But according to a report Saturday from Yahoo Sports, that didn't stop Leach from telling Pac-12 conference leaders just how terrible he thought the officiating was. Leach was especially angry about a non-call on a helmet-to-helmet hit against quarterback Gardner Minshew II by USC on Sept. 21. In a series of text messages to the conference, Leach questioned the conference's "commitment to player safety and insinuations of favoritism in the league office toward other programs." On the play that drew Leach's ire, USC Porter Gustin used his helmet to hit Minshew once he'd released the pass in the fourth quarter of the game, a 39-36 Trojans victory. Last week, Yahoo reported that the Pac-12 changed how it conducts its replay review based on a non-call in the same game. The Pac-12 determined that Washington State linebacker Logan Tago should have been ejected for targeting USC quarterback JT Daniels.